This year we celebrated Domestic Workers' Day with the slogan "Safe Workplace is Our Rights". 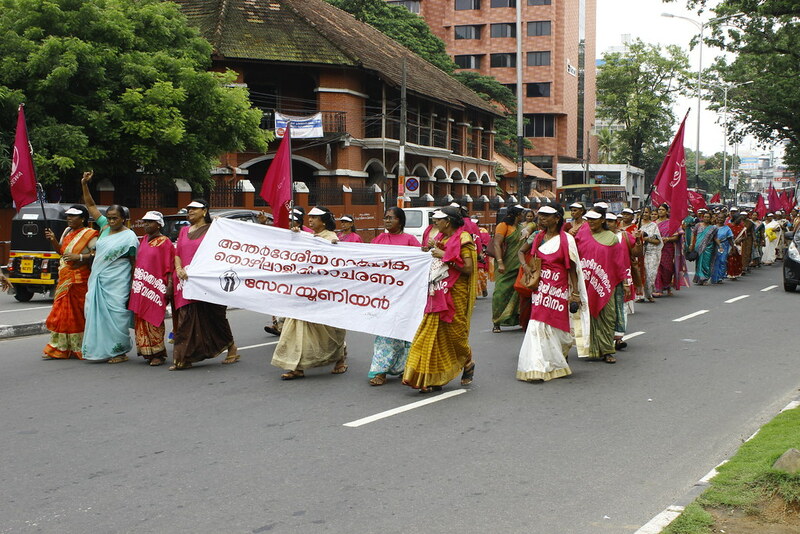 SEWA Union Kerala organised big event on June 18 at Trivandrum the state head quarters. 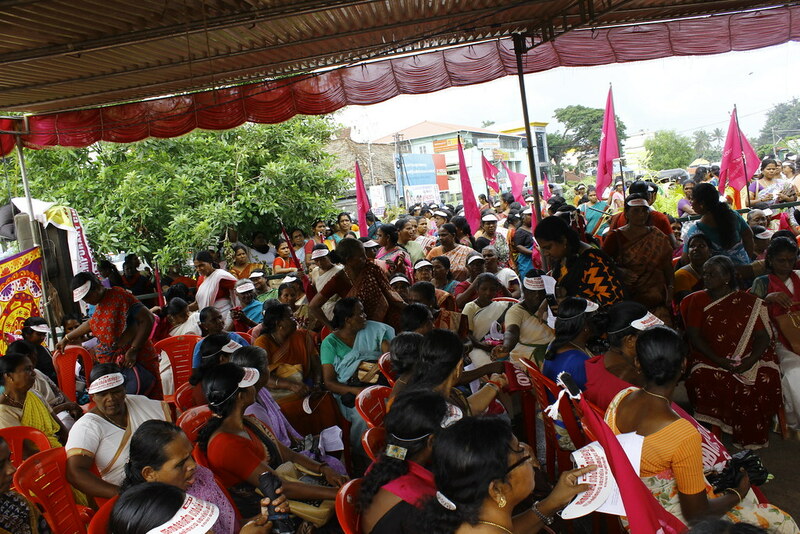 Around 700 domestic workers particpated in the rally and public meeting. It was inaugurated by the union Secretary Ms. Sonia George. Women leaders shared their stories, they sung together, they together demanded for their rights. The same day morning, we organised a consultation meeting at district collectors chamber on Prohibition of sexual harassment at work place Act 2013. The focus of the programme was how to include unorganised sector workers into the purview of the act. district collector inaugurated the programme, women protection officer, Labour officer, Trade union rep, social activists, domestic workers etc attended the programme,. 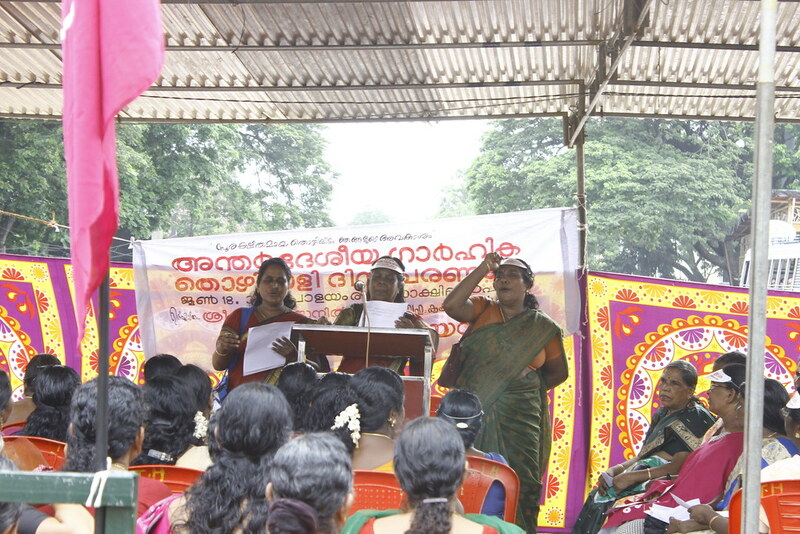 Same programme was organised another districts Kottayam. This will continue to other districts. Some northern districts, My fair home campaign was organised.